TGIF, beer nerds! 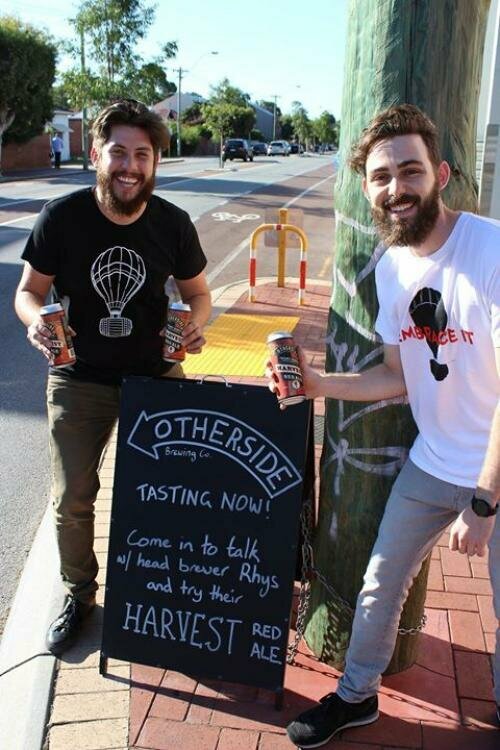 We're kicking off the weekend with Rhys from Otherside Brewing Co. in Fremantle, showcasing their stellar Harvest Red Ale from 4-7pm! Come on in, have a chat and help support our local brewers, because the piney, resinous Mosaic deliciousness on display here wouldn't be out of place at any craft beer festival! Hopefully we'll see you soon, and have a great weekend! This blog is all regarding genuine-time video clip streaming and also all the innovations that state-of-the-art around it like webcasting, iptv circulation, playout computer software program, blending software package, video clip streaming servers. You could study much more about the most latest information regarding dwell online video clip streaming engines these types of as wowza, nginx, mist world-wide-web server and also Livebox. See https://old.reddit.com/r/videos/comments/8t98rq/distribution_of_your_videos_to_social_medias_hindi/ and also you will track down a straight link to a web page the place you could buy the extremely finest streaming server out of people I upload about.